They say ‘lightning doesn’t strike twice.’ But they’re wrong. Overnight, Claire falls from toast of the town to talk of the town. Long-time friends rally around, but confused and off-balance, Claire finds herself traveling a lonely, unfamiliar road without a map. And there are no detour signs to help her get back on the right track. Spiraling on a self-destructive path, Claire fights to find her way – and a reason to start over. They say, ‘what doesn’t kill you, makes you stronger.’ Could they be right? 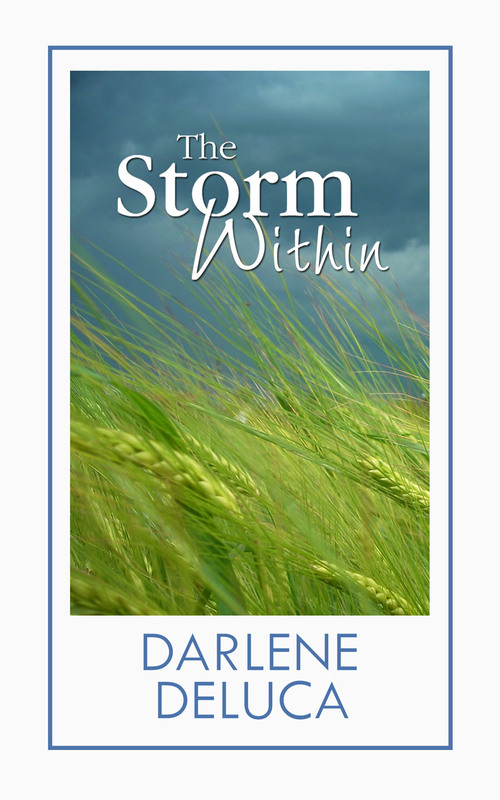 “The Storm Within” is book one in the Women of Whitfield trilogy. Each book is a companion book featuring one of three long-time friends who live in the fictitious small town of Whitfield, Kansas. They are energetic, involved women who run school events and community fundraisers. They look out for each other, support each other, and have a lot of good times together. Book one introduces all of the gal pals, and features Claire. Book two, “Second Wind” focuses on Dana, single parent and head nurse at the local hospital. – Throughout The Storm Within, Claire’s friends are there to support her. Discuss the importance of friendship in this novel as well as in your own life. Would Claire’s outcome have been different without these friendships? Explain your answer. – What was your reaction to Claire and her situation? Did you empathize with her? Why or why not? – Claire has a difficult relationship with her daughter. Discuss the differences in her relationship with her daughter and the glimpses that hint at her relationship with her son. Did you find yourself “siding” with one character more than the other? If so, which one, and why?